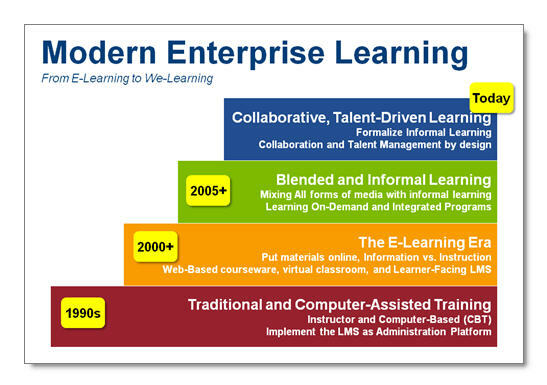 The glory days of the week-long workshop or the 6-hour eLearning module have faded. It’s not that face-to-face training or carefully-designed eLearning courses are going away. It’s just that in this new age of We-Learning (as coined by Josh Bersin), there are so many more options for learning and performance support. Today, let’s focus on just one of these alternative ways of delivering learning content: videos. It used to be that videos were high-cost, high-production affairs involving fancy vendors with titles like, “Production Coordinator” and “Digital Editor,” “Sound Editor.” Now, with iPhones and other smartphones to capture good-enough quality video, and with YouTube, Vimeo and the like to post it, anyone can create and share their short movie with the world. We consumers-as-producers are creating, sharing and aggregating our own collaborative learning assets. I visit the video section of lowes.com all the time for video how-to’s on DIY projects. When I just need to know how to reupholster a chair or ground a GFI outlet, I don’t want to have to sit through an hour on furniture and fabric styles or theories behind Copper vs. Aluminum wiring. I just want to be shown a step-by-step example of what I need to do. A colleague recently proposed the idea of using QuickTime mini-movies for learning & performance support. This idea really resonates with me. Salman Khan, founder of the Khan Academy, exemplifies the idea of delivering learning through small video chunks in his 2011 TED talk. Now it’s your turn. Why not create a video to share your thoughts on using mini-videos for learning & performance support? Send me a link and I’ll post it here! Looking forward to continuing the vConversation.